At StoreMoreStore we aim to make sure you find the right storage solution for your business – and that doesn’t just mean office storage. We have a variety of products and solutions for the industrial side too. While the warehouse might not be as glamorous as the office side, it’s just as important and has just as much of a need for storage. Our industrial storage solutions are designed to improve organization, increase efficiencies, and save space in your warehouse, automotive shop, or material handling facility. 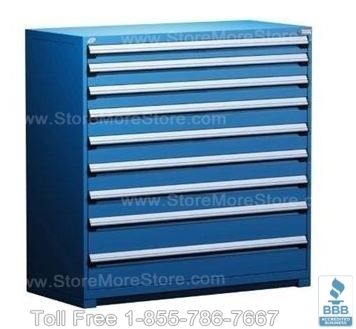 What Industrial Storage Solutions Can You Find From StoreMoreStore? Now that you know we have industrial storage solutions, what products can you find? Bulk racks with steel decking, wire decking, and no decking. Our bulk racks are available in “starter” and “adder” units so that you can customize your order to match your specific requirements. 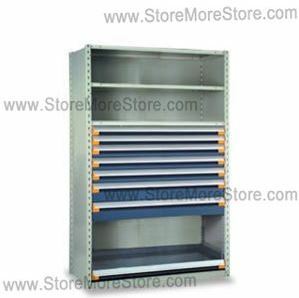 Industrial shelving that is ideal for storing and organizing all types of parts, boxes, cartons, tools, and more. Whether you need a large personalized system or just a small storage system, we have industrial shelving that will work for your business’ needs. Heavy-duty modular cabinets designed for intensive use. The heavy-duty modular cabinets are available in a variety of sizes so that you have an incredible amount of possibilities. 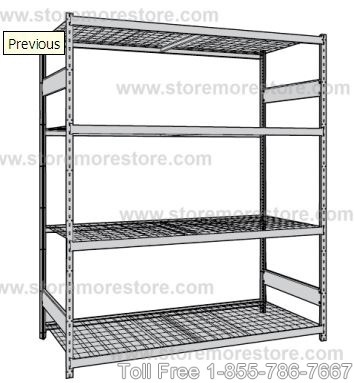 Industrial shelving with heavy duty drawers for storing large, medium, and small parts – all in one unit. The parts storage system is designed to store heavy items on the lower shelf level, medium-size parts on the upper levels, and small parts in the drawers. 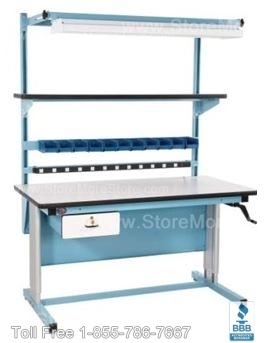 Adjustable benches and tables for assembly and technical support areas. 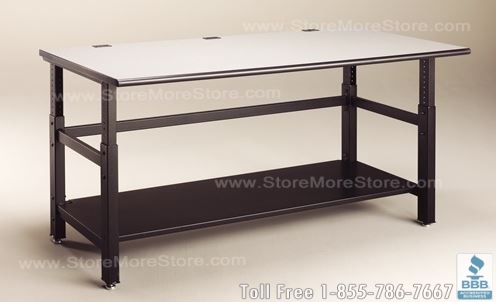 These adjustable work benchesallow each employee to set the appropriate work surface height for their personal workspace. And these are just some of our industrial storage solutions. You can find more from us online. And if you don’t see what you’re looking for or need any help, please give us a call at 1-855-786-7667.